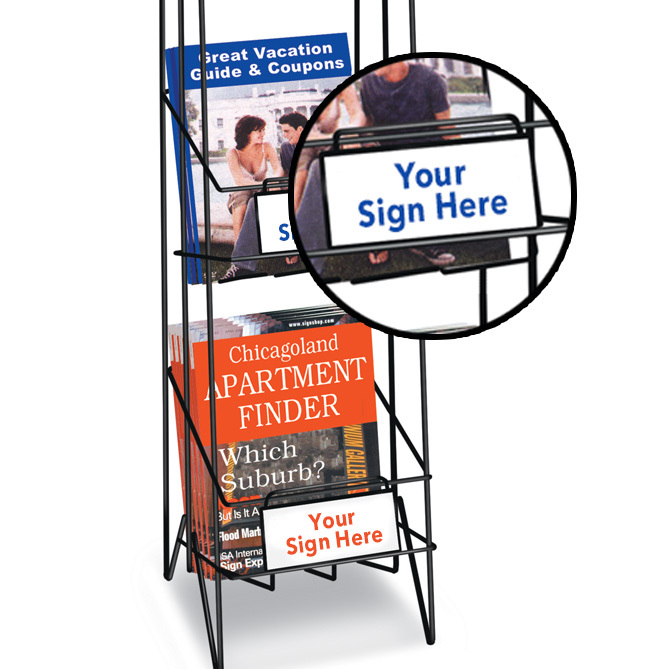 Direct your customers with custom signage! Pack of 3 signs with different custom messages on each sign. Simply peel back and stick it to each sign plate holder. Great for special pricing, store branding, sales or other information that might be helpful to your customers and your business. Shown here with our #2056 3-Pocket Magazine Display Rack. 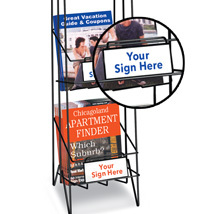 All custom signs are made to order and are not returnable.